The “No To The Bike Parking Tax” campaign – a non-political action group representing motorcyclists and scooterists to object against the illegitimate introduction of parking levies by Westminster City Council (WCC) and any other authorities, found out last weekend that their right to communicate their protests and demonstrations through their website was pulled. 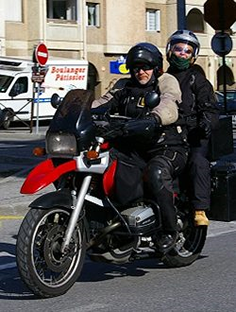 Although the “No To The Bike Parking Tax” campaign engage in and organize peaceful protests – ‘non-violent direct action’, the campaign reports that their website was suspended as a direct result of a “rogue Westminster Council employee” using his council email address when airing his own personal grievances. The web company was duped when WCC Head of Legal, Peter Large wrote using his council web address naming them in a planned legal action. Gerard Livett, a firm supporter of the campaign (who incidentally is also the President of the Federation Of European Motorcyclists Associations (FEMA) commented in the “No To The Bike Parking Tax” press release:- “I work for a local authority (not Westminster) and if I were to use my work email address for a private lawsuit I would almost certainly fall foul of our “acceptable” use policy”. After a few hectic days the “No To The Bike Parking Tax” campaign website has with the assistance offered to them by the web-hosting provider that accommodates Wiki-Leaks, moved, lock-stock-and-barrel, to somewhere in Sweden by their backroom techie team which has now assured the site is out of reach of central government let alone the Barrow & More gang. 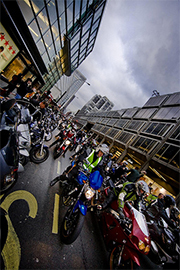 With this unprecedented “attack” on the “No To The Bike Parking Tax” campaign, which we believe is the first motorcycling campaign group to use all aspects and all the tools of the “surge” in web campaigning and social networking, combined with traditional “bikes on the streets” protesting and lobbying, in the UK and to Europe in Brussels. 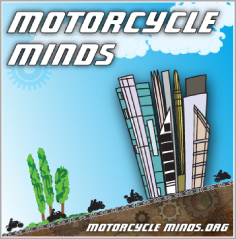 Our view is that legitimate motorcycle campaigning organisations across Europe must be web aware and must be prepared to not only fight for their principles in their lobbying and campaigns but also to defend their right to protest, demonstrate and communicate.